But he answered and said unto them, An evil and adulterous generation seeks after a sign; and there shall no sign be given to it, but the sign of the prophet Yonah: 40 For as Yonah was three days and three nights in the fish’s belly; so shall the Son of Adam be three days and three nights in the heart of the earth. As we can see, the Roman version fixes the crucifixion on Friday afternoon (“Good Friday”), and the resurrection on Sunday morning. At best, this is two nights and two days. When the evening was come, there came a rich man of Ramah, named Yoceph, who also himself was YAHUSHA’S Talmidiy: 58 He went to Pilate, and begged the body of YAHUSHA. Then Pilate commanded the body to be delivered. 59 And when Yoceph had taken the body, he wrapped it in a clean linen cloth, 60 And laid it in his own new tomb, which he had hewn out in the rock: and he rolled a great stone to the door of the sepulchre, and departed. 61 And there was Miryam of Migdal, and the other Miryam, sitting over against the sepulchre. The Yahudiym therefore, because it was the preparation, that the bodies should not remain upon the cross on the Shabbat, (for that Shabbat was a high day,) besought Pilate that their legs might be broken, and that they might be taken away. 32 Then came the soldiers, and broke the legs of the first, and of the other which was crucified with him. 33 But when they came to YAHUSHA, and saw that he was dead already, they broke not his legs: 34 But one of the soldiers with a spear pierced his side, and forthwith came there out blood and water. 35 And he that saw it bore record, and his record is true: and he knows that he says true, that ye might believe. 36 For these things were done, that the Scripture should be fulfilled, A bone of him shall not be broken. 37 And again another Scripture says, They shall look on himאת eth whom they pierced. 38 And after this Yoceph of Ramah, being a Talmidiy of YAHUSHA, but secretly for fear of the Yahudiym, besought Pilate that he might take away the body of YAHUSHA: and Pilate gave him leave. He came therefore, and took the body of YAHUSHA. 39 And there came also Niqodiymon, which at the first came to YAHUSHA by night, and brought a mixture of myrrh and aloes, about a hundred pound weight. 40 Then took they the body of YAHUSHA, and wound it in linen clothes with the spices, as the manner of the Yahudiym is to bury. 41 Now in the place where he was crucified there was a garden; and in the garden a new sepulchre, wherein was never man yet laid. 42 There laid they YAHUSHA therefore because of the Yahudiym’s preparation day; for the sepulchre was nigh at hand. We can see with these verses that Mashiach was crucified on the day of preparation, which is the Passover or Pecach. A necessity arose that required the body to be placed in the tomb before the Sabbath day to follow, which was the first day of Matstsah, a chag and a high Sabbath. This didn’t stop the chief priests and the Parashiym from taking care of business the next day. Now the next day, that followed the day of the preparation, the chief priests and Parashiym came together unto Pilate, 63 Saying, Sir, we remember that that deceiver said, while he was yet alive, After three days I will rise again. 64 Command therefore that the sepulchre be made sure until the third day, lest his Talmidiym come by night, and steal him away, and say unto the people, He is risen from the dead: so the last error shall be worse than the first. 65 Pilate said unto them, Ye have a watch: go your way, make it as sure as ye can. 66 So they went, and made the sepulchre sure, sealing the stone, and setting a watch. After the end of the Shabbat, as it began to draw near toward the Shabbat of the next day, came Miryam of Migdal and the other Miryam to see the sepulchre. These are the only days of the week that the timing set forth in the gospels can take place. As you see here, Mashiach spends three nights and three days in the tomb. He is taken from the cross and placed in the tomb just before the high Sabbath of Matstsah. Miryam and Miryam visit at the close of the weekly Sabbath, just before the next Sabbath, at sunset on Saturday evening, which is First Fruits or Bikoor, and find that MASHIACH has risen. As a matter of the historical record, there are only two years during the life of MASHIACH where the full moon was had on a Wednesday, and those years are 16 A.D. and 28 A.D. YAHUSHA reached his 30th year in the year 26, so the year 28 A.D. is a likely candidate for the year of his crucifixion. Therefore MASHIACH is cut off after the three score and two weeks of years is completed, but nothing of holy city is ruined: and the people of the prince to come thereafter did conquer until the war was decided with devastation. 27 And the greatness of the covenant multiplies for one shavua: and in the middle of the shavua, the sacrifice and the oblation cease, and the overspreading of abominations makes it desolate, even until the consummation is determined and poured over the desolation. Again, the historical record is of interest concerning the covenant which multiplied for one shavua, or one week of years. And it is in the middle of this one week of years that the sacrifice and the oblation ceased. Thereafter, the overspreading of abominations (pagan superiority and governance) began to make Yerushalayim and surrounding Judea a desolation. The consummation is of course the destruction of the second temple. "Forty years before the destruction of the Temple, the western light went out, the crimson thread remained crimson, and the lot for the Lord always came up in the left hand. They would close the gates of the Temple by night and get up in the morning and find them wide open" (Jacob Neusner, The Yerushalmi, p.156-157). "Our rabbis taught: During the last forty years before the destruction of the Temple the lot ['For the Lord'] did not come up in the right hand; nor did the crimson-colored strap become white; nor did the western most light shine; and the doors of the Hekel [Temple] would open by themselves" (Soncino version, Yoma 39b). 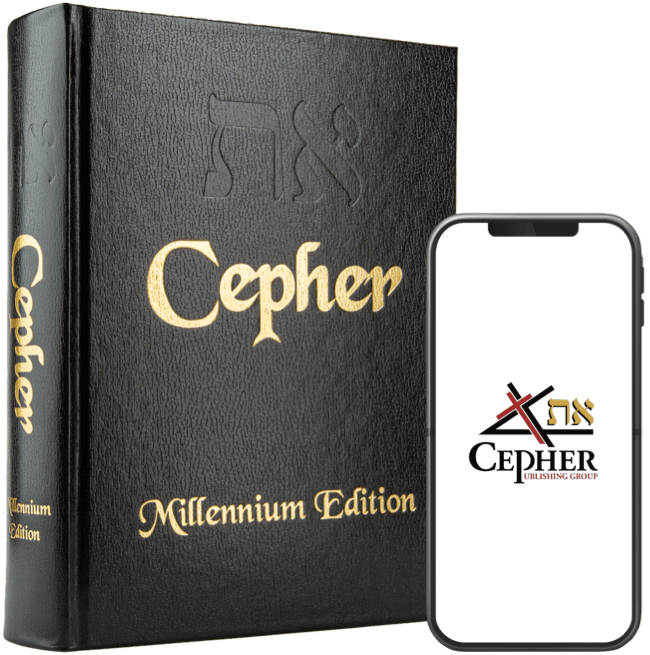 You recall that Pecach occurs on the 14th day of the first month, and Yom Kippuriym occurs on the 10th day of the seventh month – six months later. The crucifixion took place on Pecach, in 28 A.D.
TOTAL: three and a half years, or half of one week of years. Daniy’el 9:27 And the greatness of the covenant multiplies for one Shavua: and in the middle of the Shavua, the sacrifice and the oblation cease, and the overspreading of abominations makes it desolate, even until the consummation is determined and poured over the desolation. The greatness of the covenant – the brit chadasha – multiplies for one week of years, from the year 24 B.C. beginning with Sukkoth in that year, continuing for 3 ½ years culminating at the crucifixion, and continuing to rise for 3 ½ years until the sacrifice and oblation cease. Thereafter, the overspreading of abominations under the hands of the Romans until 70 A.D. continues until the consummation is determined – the destruction of the second temple – pours over the desolation of Yerushalayim. And YAHUSHA himself began to be about thirty years of age, being (as was supposed) the son of Yoceph, . . . So, YAHUSHA began to be about thirty years of age . . . Under the counting system among the Jews of that time, YAHUSHA began to be about thirty years of age on the 16th day of Ethaniym in 25 A.D. and began to be twenty-nine years on the 16th day of Ethaniym, 24 A.D. Our calculation from Pecach in 28 A.D. takes us back ½ year to 15 Ethaniym 27 A.D., then 26, 25, and 24 A.D. when the ministry began, when he was about thirty years of age. Given these calculations, it is possible to see that Daniye’l 9:24-27 has been realized with particularity in regard to the first portion of 9:25 –the three score and two weeks of years. Is Isaac Newton’s interpretation of the seven weeks of years likely to be correct as well? The timing of the arrival of HAMASHIACH the Prince under the two-fold prophetic interpretation of Isaac Newton, then places the second advent – the second arrival – in a year which is 7 weeks of years following the second decree to rebuild Yerushalayim with eagerness in troublous times. In reviewing the first realization of this prophecy, we see that the word which goes out to return and to build Yerushalayim is not the word of the Babylonians – not the word of Koresh, Artachshasta, or Daryav’esh, but the word of the Yahudiym following the completion of the temple in 417 B.C. Similarly, the date in the modern epoch to be considered is not the grant of the United Nations (S. 181) on November 29, 1947, and not the date of the formation of Israel on May 14, 1948 (Shavu’oth), but the date that the nation of Israel captured the no-man’s land around Yerushalyim which allowed the construction of the modern city. This occurred on June 11, 1967, the seventh day following the Six Day War. It is worthy to consider that the nation of Israel turned 20 years of age on Sunday, May 16, 1967 in the feast of Shavu’ot. Recall that 20 years is required to be considered an adult. [A student of these dates will find a discrepancy as to the date of this feast. The Jewish calendar for this year set the previous year as a 13-month year, although the moon cycle does not justify it, to claim that Shavu’ot occurred on June 15, 1967, a month later. Passover (Pecach) was had on March 24, 1967, however, three days following the vernal equinox. The calculation of 50 days from the Sabbath (also the beginning of Matsah) places the 50th day, of Shavu’ot, on May 16. We have the same discrepancy in this very calendar year (2016) as the Jews claim again a 13-month year, yielding a second Adar in the month of March, 2016, setting back Pecach until April. However, the signs in the heavens disagree, as a full solar eclipse occurred on March 9 – the actual 1 Aviv, and a lunar eclipse occurs on March 23, the true first day of Matsah, and September 15, the first true day of Sukkoth, which is also 15 Tishrei/Ethaniym, the very same alignment which occurred in the year of MASHIACH’S birth. Now, wait a minute! This may tell us something. The Jews today rely on finding the barley in Aviv to declare the first month of the year, although such a thing is only important to establish the date of the wave offering commensurate with the feast of First Fruits (Bikoor). Although there is no record, is it possible that the Jews had declared a 13-month year, rendering March a 13th month in the year 4 B.C.? If that is so, then consider that they missed the true Pecach, which was a blood moon lunar eclipse and the birth of Yahuchanon the Immerser (John the Baptist), and they missed the true Sukkoth, which was also a blood moon lunar eclipse and the birth of MASHIACH. So who knew the true signs? The magi did, as did Shimon and Hannah in the temple, when MASHIACH was presented on the 8th day. Again, we have seen that the 360-day year calculation is not an accurate calculation, as that time has come and gone. The Hebrew year is a year which resets each year in an adjustment to the vernal equinox and cannot and should not be factored on a 360-day cycle to shorten the number of years. It becomes precisely completed on the day the sun descends into the west, and the moon ascends into the night in the east. This calculation describes the last month of the year when the sun descends to the west of due north, yet the moon ascends (shines in its fullness) to the east of due north. Following the vernal equinox, the sun sets to the east of due north and the moon ascends to the east of due north. When the moon ascends (shines in its fullness) to the west of due north, and the sun also descends to the west of due north, the autumnal equinox is reached. It is this verse which establishes the method by which the first month of the year is calculated: it is that month when the moon in its fullness arises to the east of due north, which is only after the vernal equinox. The cepher of the revolutions of the luminaries of heaven, according to their respective classes, their respective powers, their respective periods, commence their progress, and their respective months, which Uriy’el, the holy angel who was with me, explained to me; he who conducted them. The whole account of them, according to every year of the world forever, until a new work shall be effected, which will be eternal. Then spoke Yahusha to YAHUAH in the day when YAHUAH delivered up את eth - the Emoriym before the children of Yisra’el, and he said in the sight of Yisra’el: Sun, stand you still upon Giv’on; and you, Moon, in the valley of Ayalon. 13 And the sun stood still, and the moon stayed, until the people had avenged themselves upon their enemies. Is not this written in the book of Yasher? So the sun stood still in the midst of heaven, and hasted not to go down about a whole day. 14 And there was no day like that before it or after it, that YAHUAH hearkened unto the voice of a man: for YAHUAH fought for Yisra’el. And when they were smiting, the day was declining toward evening, and Yahusha said in the sight of all the people: Sun, stand you still upon Giv’on, and you moon in the valley of Ayalon, until the nation shall have revenged itself upon its enemies. 64 And YAHUAH hearkened to the voice of Yahusha, and the sun stood still in the midst of the heavens, and it stood still six and thirty moments, and the moon also stood still and hastened not to go down a whole day. 65 And there was no day like that, before it or after it, that YAHUAH hearkened to the voice of a man, for YAHUAH fought for Yisra’el. And this shall be a sign unto you from YAHUAH, that YAHUAH will do this thing that he has spoken; 8 Behold, I will bring again the shadow of the degrees, which is gone down in the sun dial of Ahaz, ten degrees backward. So the sun returned ten degrees, by which degrees it was gone down. Know therefore and understand, from the going forth of the word to return and to build Yerushalayim until HAMASHIACH the Prince is seven Shavua, and threescore and two Shavua; return and build the wide place with eagerness in troublous times. The going forth of the word to return and to build Yerushalayim in the modern epoch occurred on June 11, 1967, the seventh day following the completion of the six day war. This edict was captured in the single photograph of Israeli soldiers standing on the Temple Mount in awe of what had just occurred. It is also worthy to consider that the nation of Israel turned 20 years of age on Sunday, May 16, 1967 on the feast of Shavuot. Recall that 20 years is required to be considered an adult. In addition, this calculation is based upon the appearance of the feast of Shavuot. As a consequence, it is reasonable to use the one year calculation, which places the realization of this second prophecy of Daniye’l in the interpretation of Isaac Newton, seven weeks of years, or 49 years, after the capture of the city of Yerushalayim in 1967, which will place this event on May 15, 2016, on the feast of Shavu’ot. And they said, Believe on ADONAI YAHUSHA HAMASHIACH, and you shall be saved, and your house. Consider your daily regimen by incorporating the seventh day Sabbath, and the keeping of the feasts. Vayiqra (Leviticus) 23. Engage the way (Tehilliym [Pslam] 119:1); the truth (Tehilliym [Pslam] 119:1); and the life (Devariym [Deuteronomy] 32:46-47, and keep the testimony of MASHIACH which is the ruach of prophecy (Chizayon [Revelation] 19:10. This is the preparation you will need to enter the second Exodus.